Do you never want to see your ex's Dear John text message again? iOS is here to help. iOS’s Messages app can get cluttered up in a hurry, between conversations with friends over lunch plans, passive-aggressive texts from old flings, and automated messages reminding you to pay your phone bill. But iOS comes with a few tools that can help you control the clutter and keep Messages under control. Have you ever scrolled through your text message history and thought, “I can’t believe I said that?” With iOS, you can easily delete the offending message. First, open the Messages app, and go to a conversation if you aren’t looking at one already. Tap and hold the message you want to remove, then tap More... in the pop-over menu that appears. Tap the circle next to the message (or messages) you want to delete so a blue checkmark icon appears. Finally, tap the trash can icon in the lower left, then confirm that you want to delete the message when prompted. 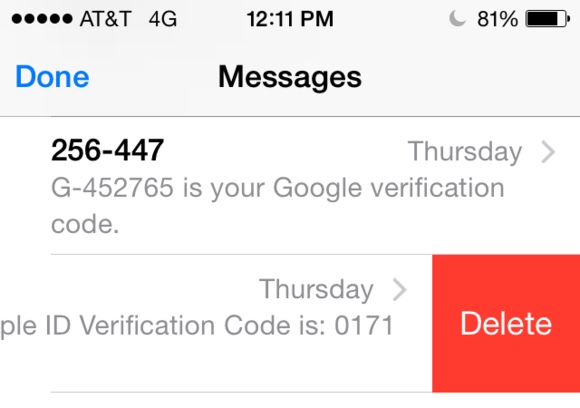 Perhaps you really don’t want that entire conversation between you and that bot that sends you iCloud login codes. To remove entire conversations from your phone, return to the main Messages screen, then swipe right to left across the conversation you want to delete. Next, tap the red Delete button that appears. Swipe, then confirm, to delete an entire conversation. To remove multiple conversations at once, tap the Edit button in the upper left, then tap the circle next to the conversations you want to delete so that a blue checkmark icon appears. Tap Delete in the lower right, and those conversations will be deleted from your phone. By default, Messages is a bit of a digital pack rat, and it’ll hang onto every message you’ve sent or received on your phone. But you can easily limit how long Messages holds onto things. You can easily force Messages to delete conversations after a set amount of time. Open the Settings app, then tap Messages. Next, tap Keep Messages—it’s under the Message History subheading. 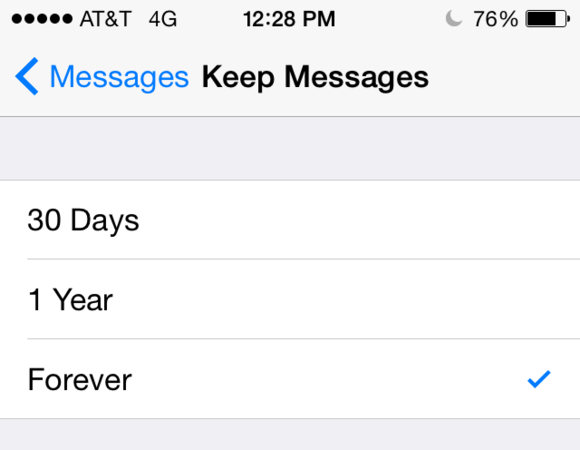 Here, you can choose to keep text messages for all eternity, or force Messages to clear out anything more than 30 days or one year old. (Unfortunately, you can’t specify any other length of time.) Pick the option that works for you, and Messages will clear out all messages older than the date you pick. Keep in mind that in each case, you aren’t necessarily removing all traces of your conversations—your friends may still have the full chat logs on their phones—but clearing your Messages logs can help reduce clutter and perhaps save you a little storage space on your phone.